Redmond Hale Simpson offer advice and can prepare vital documentation to protect your assets for your future, and also your loved ones. 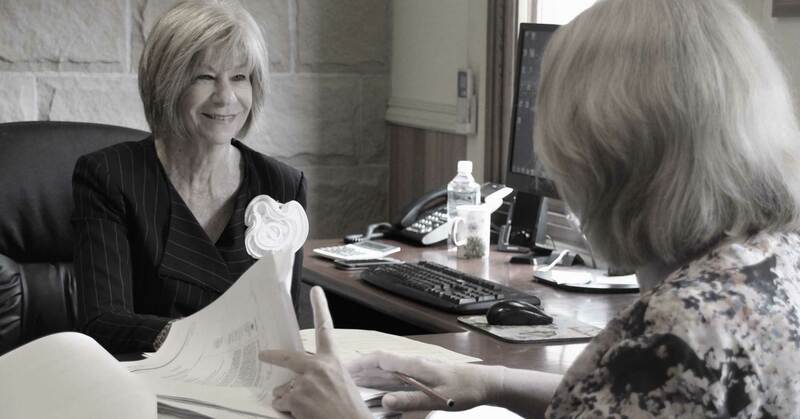 If you have been appointed as executor of a will, we can assist you in preparing all necessary documents and giving you all the appropriate advice to ensure that the wishes of the deceased are carried out. 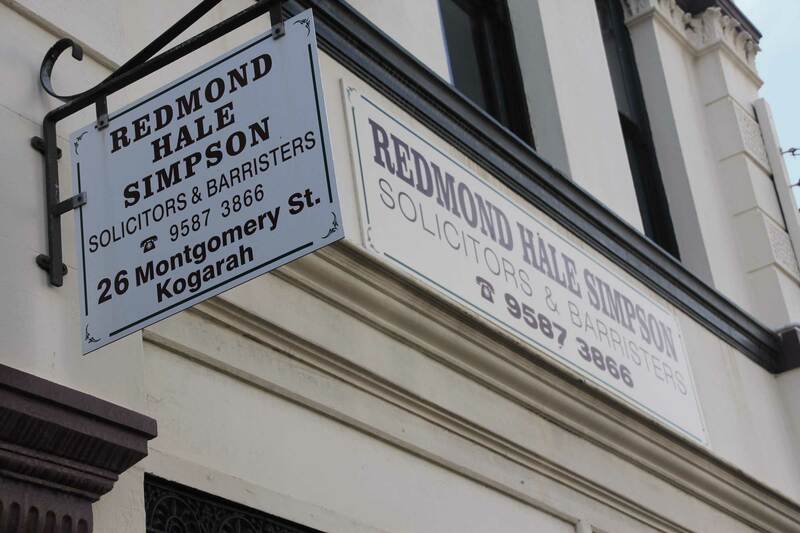 Redmond Hale Simpson can assist you with all of your conveyancing needs. We strive to provide you service in a timely and cost effective manner, so you can reap the benefits of your investment. Relationships can be stressful at the best of times. Redmond Hale Simpson appreciates and understands the emotional turmoil that is often experienced by clients going through a separation. Have you been charged with a criminal or a traffic offence? Redmond Hale Simpson can advise you on entering a plea of guilty or not guilty to a range of offences. You need the right advice and a persuasive advocate. If you are owed money or someone is trying to sue you for a debt, then you should talk to us. You may also find yourself in a neighbourhood dispute and need someone to fight for your rights. We have the necessary skills in the court room to assist you in reaching the right resolution. It is vital that your leasing dealings be handled by an experienced professional. Failure to get a lease right can result in significant financial losses for landlords and tenants. If you are a commercial tenant it can substantially alter the value of the goodwill of your business. Dan Simpson and his professional team at Redmond Hale Simpson (RHS) were very friendly to deal with, kept my wife and I up-to-date at all stages in our matter, and I would recommend RHS to everybody. Redmond Hale have been courteous, timely, and knowledgeable in all our dealings. I engaged Redmond Hale to help with a dispute and have since retained their services for a wide variety of corporate dealings for our company. As a whole team their solicitors have always had time for us. They strike the right cord between managing our expectations and fostering favourable outcomes. For any legal avenue you need to explore I recommend Redmond Hale as a first port of call. Cannot speak highly enough of Dan Simpson. He is very knowledgeable and focused on delivering excellent results to his clients. I thoroughly recommend Dan. Big thanks to Dan Simpson who made the process easy with my late mothers estate. We were recommended to Dan by the Cancer council and have been very pleased with his service. He even went out of his way and came to visit my terminally ill mother at her place so she could sign the Will. I would recommend Redmond Hale Simpson Solicitors to everyone. They are very professional and very friendly. Kyle Sutherland is excellent. He is very nice. His rates are reasonable and he is contactable and keeps in touch. He is incredibly detailed and very fast. He really cared about my custody case and he didn't try to drag the case out to line his own pockets. I would highly recommend Kyle. Redmond Hale Simpson was a pleasure to deal with. Thank you to Kyle Sutherland for his professionalism and support. He always had my best interests at heart and provided me with professional advice and achieved a successful outcome.